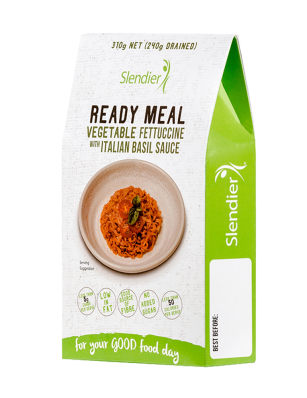 Slendier’s new Ready-to-Eat Meals are here! The perfect choice for people that are time poor, the new range includes three traditional Italian recipes using Slendier’s much-loved Fettuccine pasta with its wonder food base, konjac. The new meals are vegan, low-fat, sugar-free, gluten-free and a great source of fibre, with less than five grams of carbohydrates per serve and less than 60 calories per serve. 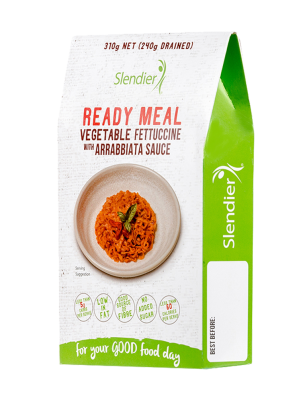 Each meal is microwavable and cooks in less than two minutes – all you need to do is combine the pasta and sauce and then heat plus they only require refrigeration when opened, making them the ultimate addition to your pantry and your gym bag.